Our modern society places a high value on medication in order to retain proper health levels. From simple antibiotics and vitamin supplements to heart medication, the range of items that we take can be staggering. As a quality provider of home health care for Greensboro residents and beyond, Mission Medstaff specializes in in-home care services. One issue that we always trying to educate our patients on is proper medication management practices. Senior home care, especially, often requires proper organization for taking the correct pills at the right times. Today, we’ll look at a few medication tips to help you or your loved one to avoid any unhealthy mixups. Mission Medstaff aims to be one of the top home health agencies in North Carolina, and this drive shows in our daily service! While this may seem like an unnecessary point to make, many citizens fail to properly read and follow all of the directions included with their medications. Every medication bottle is required to clearly print and label all warnings and instructions to prevent any mishaps. If your medicine states that it must be completed in its entirety, make sure to take it until your supply runs out. If alcoholic beverages are forbidden while on a certain prescription, be sure to avoid drinking until the medicine is no longer taken. Another issue that many of our elderly patients face is the interaction of prescriptions with over-the-counter medications. The results of mixing these two substances can be very hazardous for you or your loved one’s health, so be sure to disclose all products you are taking with your physician. Honesty and thoroughness are important for elderly citizens when interacting with their pharmacist. 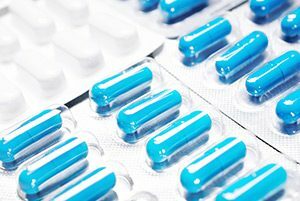 Disclosing to them all of the medications you take, whether prescribed or otherwise, will help to ensure that there are no dangerous drug interactions in your body. Making a list of all of your medications for both your pharmacist and physician will help them to be better able to help manage the entire process to keep everything as safe as possible. Another important reminder here is to avoid self-medicating at all costs. People will often change their habits based on a medication’s reactions, whether that medicine is not effective enough or comes with uncomfortable side effects. If something changes, it is best to consult your physician before making any changes! Creating a list of medications can also be helpful for keeping you on top of the medications that are prescribed. One key factor to look out for is the expiration date. Another benefit can come from keeping tabs on recalls and updated medication information. If your pills are found to be unsafe or ineffective, being able to call your doctor to make a change can save you from a myriad of health complications. 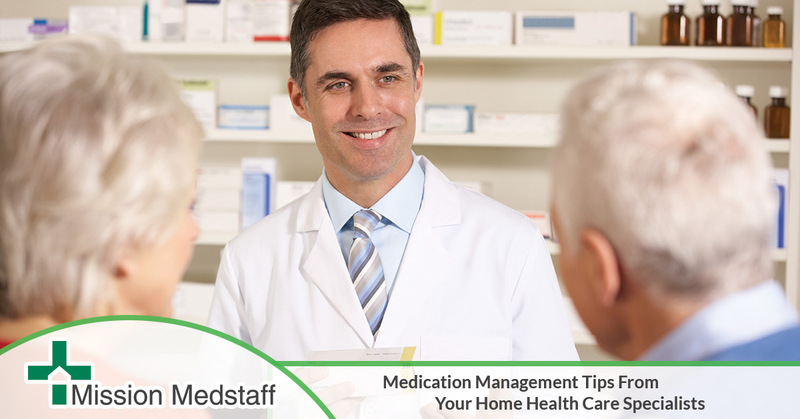 There are many ways that you or your loved one can improve their medication management skills. For those who require at-home care, our professionals are ready to help. Our nursing staff can help with all levels of pediatric and adult home care, from wound care services to quality medication management. If you or your loved one are in need of professional home health care in Greensboro, contact us today to learn more!